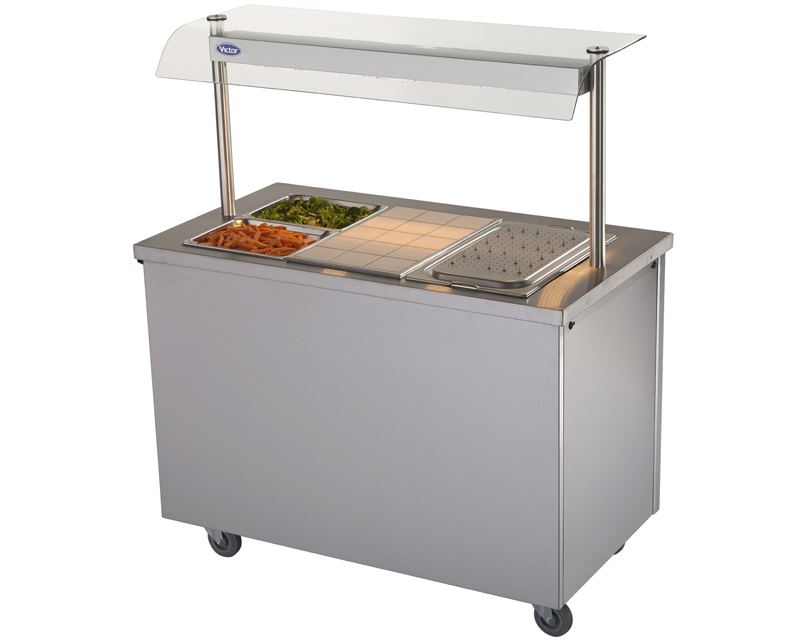 A highly flexible GN1/1 gastronorm compatible heated unit forming a portable servery counter. Ideal for general purpose usage in all catering establishments, residential care homes, pubs, hotels cafes, schools & colleges. Three x 300W operator changeable quartz heat lamps. GN1/1 gastronorm compatible heated unit ideal for general purpose usage in all catering establishments, residential care homes, pubs, hotels, cafes, schools & colleges.